Organized by Taiwan Machine Tool & Accessory Builders’ Association and Taichung City Government, and co-organized by correspondent associations, the 2018 Taiwan International Machine Tool Show (TMTS) is going to open on November 7 this year. During this 5 day event, there will be 750 exhibitors promoting their products in the 91,000 square meter area, covering all the metalworking sectors of upper, middle, and lower industrial chains. TMTS 2018 is the platform for you to the Industry 4.0. 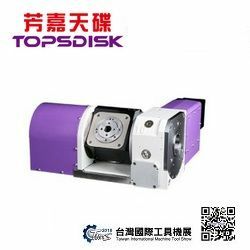 At this grand event, Spintop Machinery Co., Ltd. will attend and present their excellent products, like NC Rotary Table, NC Tilting Rotary Table, Dual-Axis Rotary Table, DD Indexing Table, and DD Rotary Table. 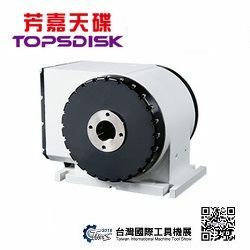 If you want to get more information of Topsdisk products, welcome to TMTS 2018 and visit their stall at 3C236. Learn more details of this event, please feel free to contact with Topsdisk. 1F, No. 220, Shenlin S. Rd. Daya Dist, Taichung City, Taiwan, R.O.C.